Wide Angle Software is pleased to announce the launch of our Affiliate Program. By initiating a sale of any of our products via your web site, you will receive 25% of the sale of those products. Wide Angle Software produces some extremely popular iPod back up, recovery and utility software. With the launch of the Affiliate Program you can help us expand our business reach while sharing in the profits of this growing brand. Potential customers visit your site and read about TouchCopy or one of our other products. 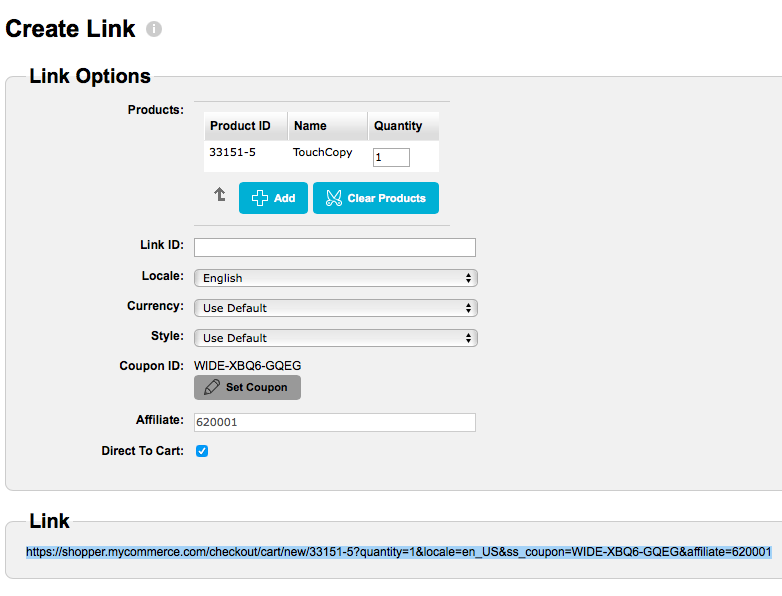 You can create a special link through MyCommerce to place on your site. When a customer clicks on this link they are sent to the Wide Angle Software store on MyCommerce where they can purchase the product. Once the purchase has gone though your account will be accredited with a percentage of the sale price. You can set MyCommerce to credit your account when a certain amount has been reached or monthly. There are many options for how you would like to be paid. You will need to set this up with in MyCommerce. 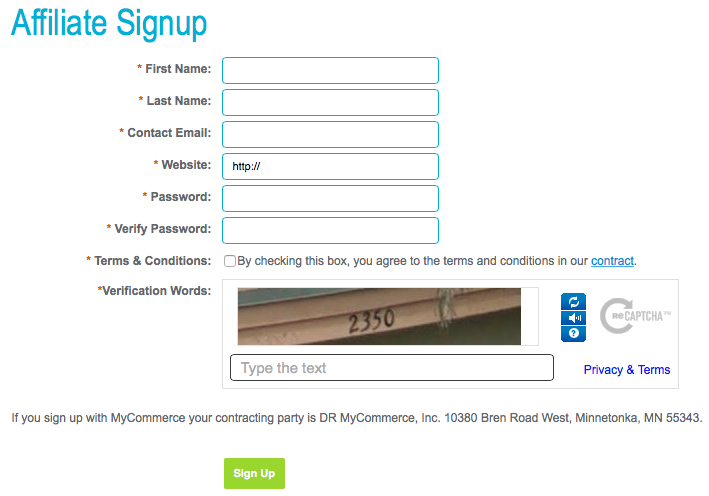 Once you have created an account you will then see a “Getting Started with MyCommerce”. Click the “Get Started” on profile settings. 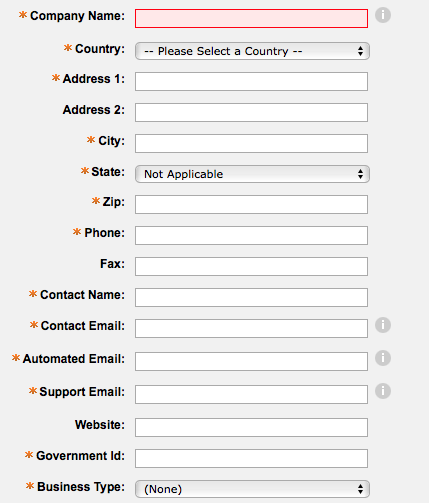 You will then need to fill out all the fields in the form with an asterisk or star next to them. Once all the fields have been filled out click on “Save”. Once you have successfully set up your profile you will then be able to click “Get Started” on the “Create Relationship” section. You will then go to a form with search and filters. In “Vendor ID” type 33151. 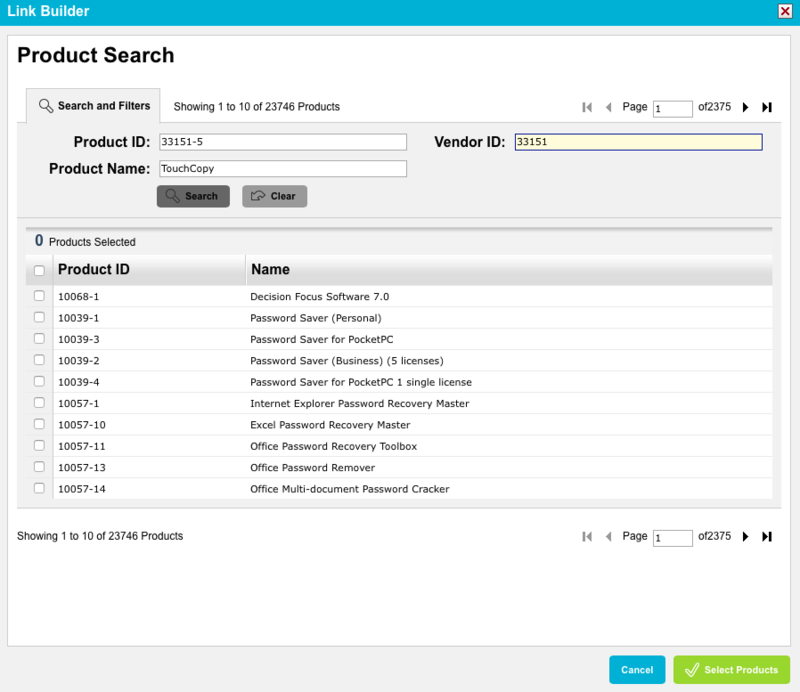 This is Wide Angle Software’s Vendor ID number and when you click search the products will appear at the bottom. 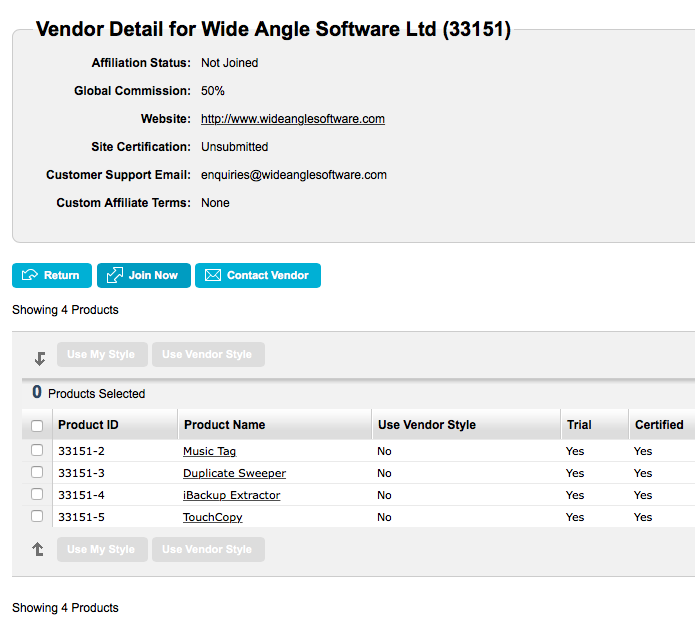 Click on any of the Wide Angle Software Ltd fields under Vendor. You will then be presented with the option to “Join Now”. Click this to create the relationship. When you have done this you will see a green tick appear at the top of the screen with confirmation of joining the program. The “Get Started” on Launch will now be available. Click This to go to the next step. 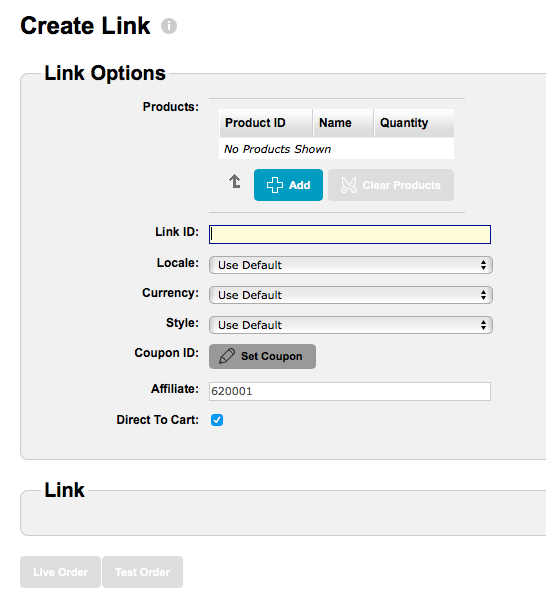 Click on “Link Builder” to be able to create links to a product that you can use in your blogs, website, etc. Click on “Add” to add a product to create a link. Fill out the form as shown to select products. The results will still appear if you only input the Vendor ID. The products will then appear. 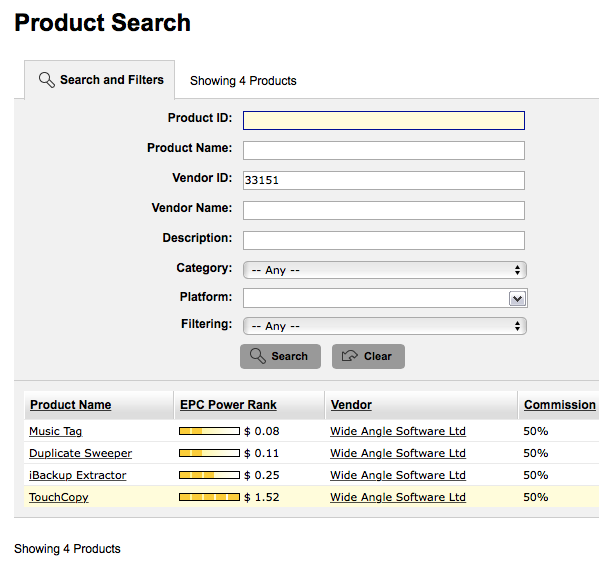 If you click on the tick box you will be able to select what products you would like to add. Once done click on “Select Products”. A link has now been created below for you to start using! You can also add coupons to the link.